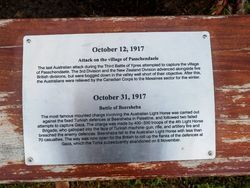 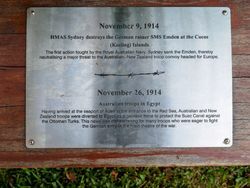 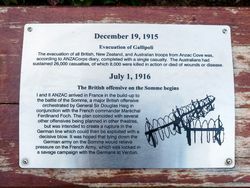 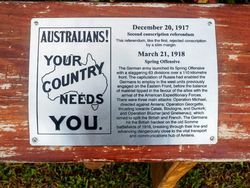 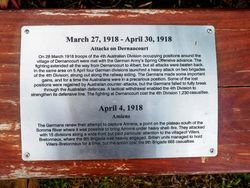 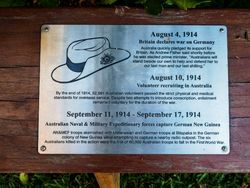 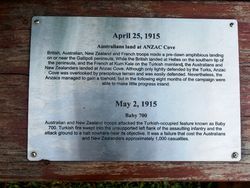 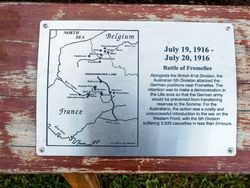 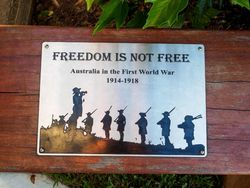 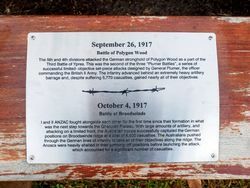 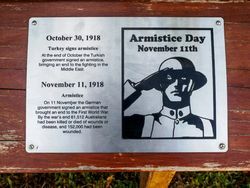 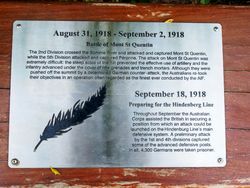 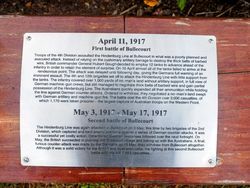 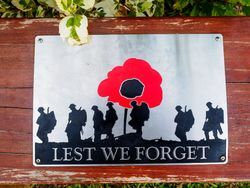 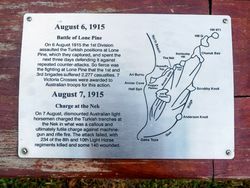 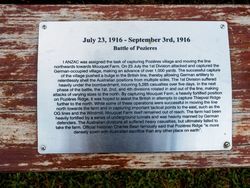 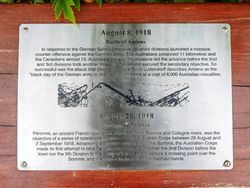 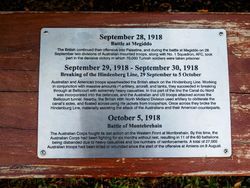 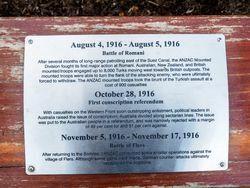 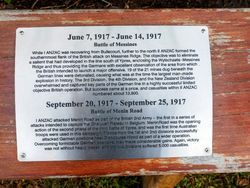 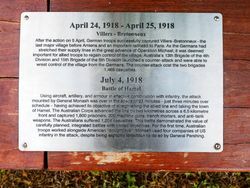 A monument commemorates the centenary of ANZAC and those who served in World War One. 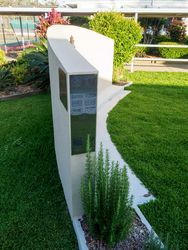 The memorial includes a commemorative wall. 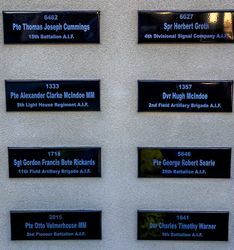 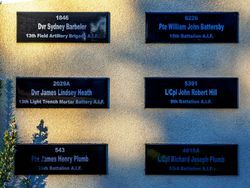 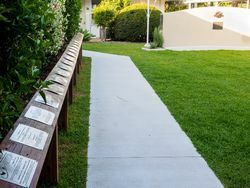 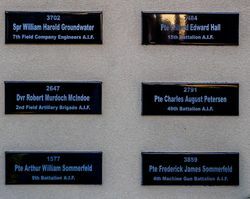 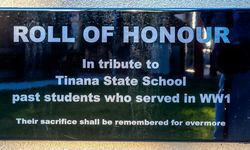 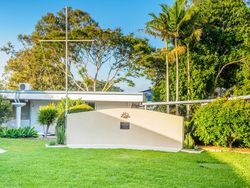 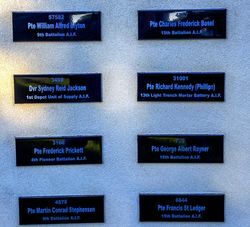 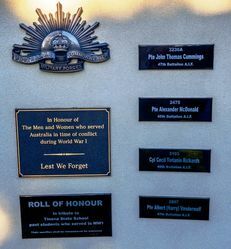 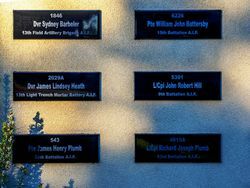 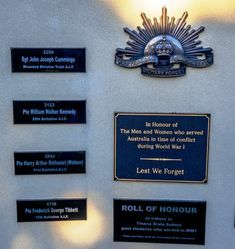 The wall features the names of past students who have fought and died for Australia during World War One.